Lunches are hard for me, especially with a toddler. I have to come up with something to feed myself and a little person. For some reason, this leaves me standing in front of the fridge scratching my head too many days. This was pointed out to me when I realized that every time I open the fridge, Hannah says, “Hmmmm…” Wonder where she learned that. I knew that if I didn’t come up with some good, healthy, kid-friendly lunch options, I’d be very tempted to turn to some pre-packaged frozen foods for convenience’s sake. That’s when I expanded my repertoire for bulk-cooking and freezing. 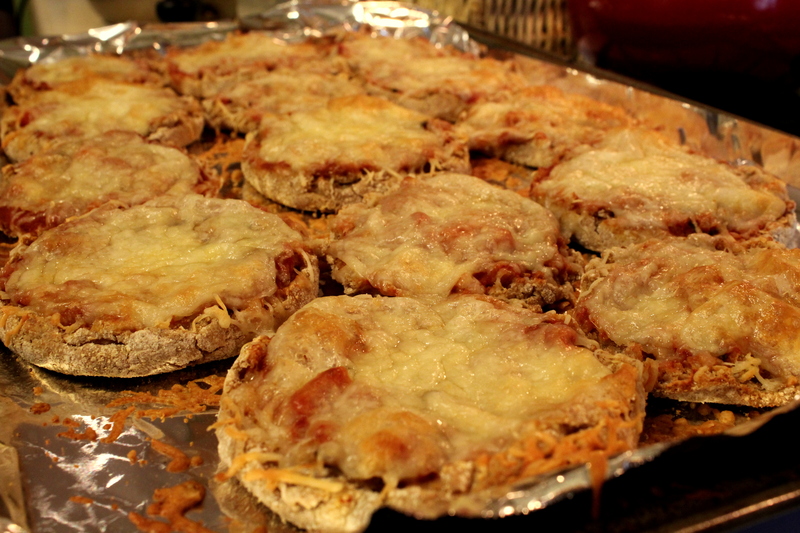 I’ve already shared my chicken nugget plan, today highlights my mini-pizzas. Super easy, just whole wheat English muffins, sauce, and cheese for 10 minutes at 400 degrees. I made my own sauce by cooking canned crushed tomatoes, dried herbs, and grated zucchini. When they cooled, I just threw them in a large freezer bag, and they’re now ready to pull out whenever Hannah wants some pizza. Unfortunately, she was not in the pizza mood tonight and most of hers ended up on the floor. Sigh, I try not to take toddler eating habits too personally. Brett and I also had mini pizzas for dinner, but we added pepperoni and didn’t throw any on the floor. Part of having a blog is turning little things into “events.” This morning I grabbed my camera to capture a little event. We will be spending some time in Colorado this summer, and we are talking about the trip with Hannah so that maybe she’ll have some idea of what’s going on when it happens. This morning I went through our postcard collection to find any of “Rado” or any picture that included mountains. 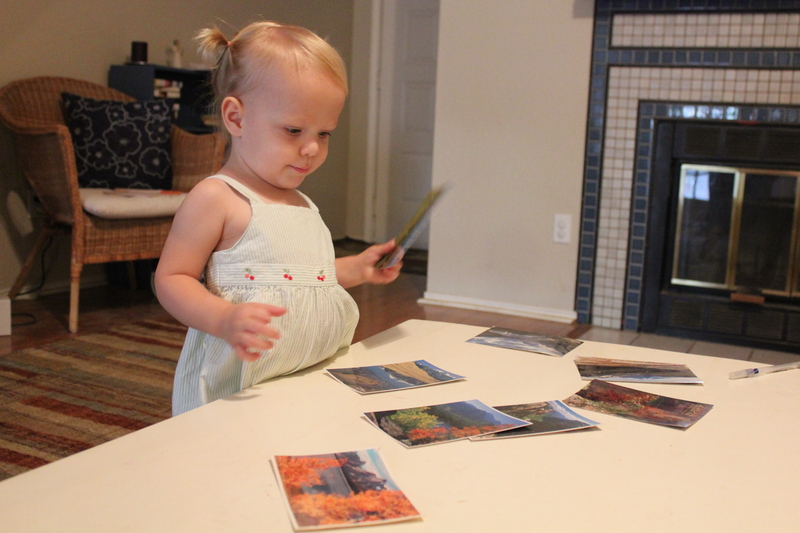 10:39 AM: Setting them out on the coffee table, I let her look at the pictures. 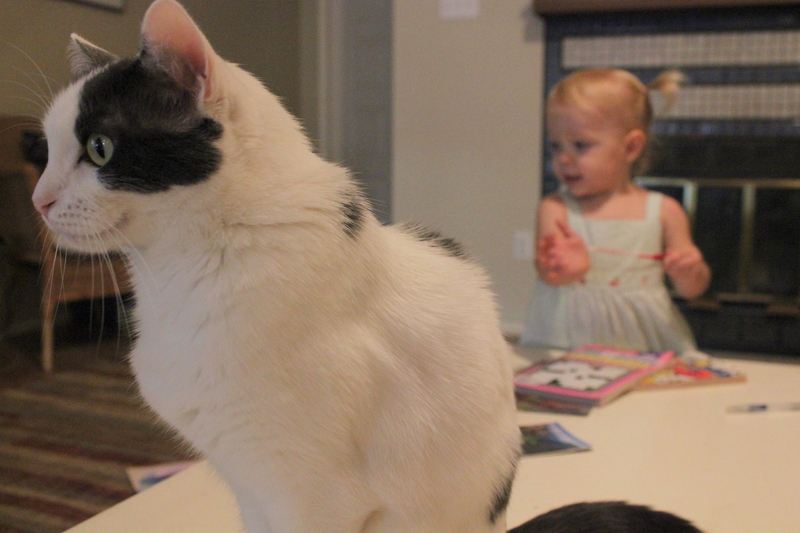 10:40 AM: This was fun until Fern jumped up on the table and decided to sit right in front of the camera (she’s kind of a diva). My photo op wasn’t going as planned, but this is real life so I kept shooting. Also in this period of seconds, Hannah apparently got bored and found some crossword puzzle books and a pen. 10:41 AM: Hannah decided crossword puzzles were not a good activity due to her lack of knowledge of the alphabet. 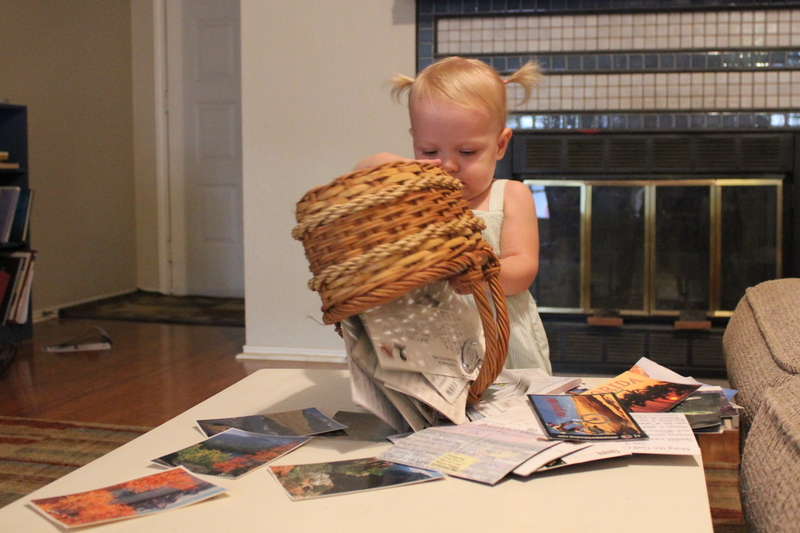 She then realized there were other postcards in the basket and started going through the rest. Fern is still posing conspicuously. 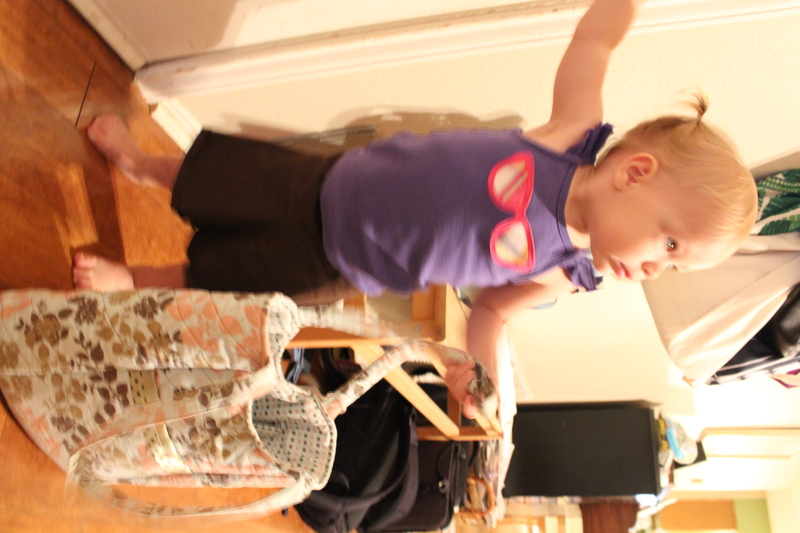 10:42 AM: There were so many that she decided to turn the basket upside down and bang it on the table to remove the rest. This scared Fern off the table. 10:43 AM: She found one of a toucan that she really liked. And that’s real life. I wanted a sweet picture of Hannah gazing dreamily at mountain landscapes. Instead, I have a diva cat, crossword puzzles, and a toucan. My sister is one of my favorite people. She has a blog that I enjoy reading. She’s much funnier than I am, and she rips off a lot of my recipes, but I’m okay with that. Hi, Hannah here. 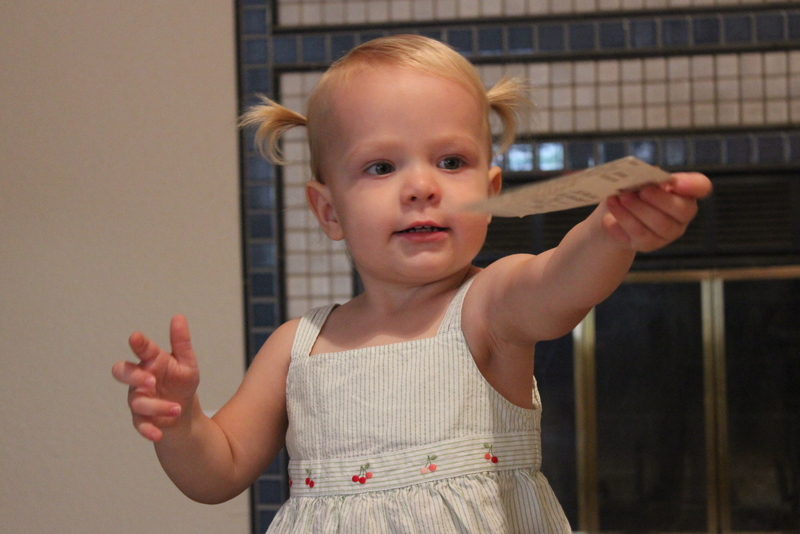 I know there are some other toddlers who read this, so I wanted to let you know about what I’ve been doing lately. I don’t get to watch a lot of TV. We don’t have cable or a DVR, but we do have Netflix. My attention span is pretty short, so I don’t make it very far through anything, but I like to try. 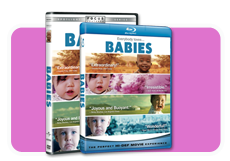 Most recently, I’ve been watching the movie “Babies” which comes streaming through Netflix. When I want to watch it, I point at the TV and say, “Babies, babies, babies!” I usually only watch things for about six minutes at a time, but this movie was so interesting that it only took me four sessions to finish the hour and 15 minutes. My mommy thought this was pretty impressive. Ponijao – Namibia – My favorite baby. She is always happy and has dogs. She gets to play a lot and is an awesome dancer. Mari – Japan – Not very exciting. Too much of a perfectionist. Bayar – Mongolia – Poor kid has a mean older brother. But I like him because he has lots of animals, especially cows. 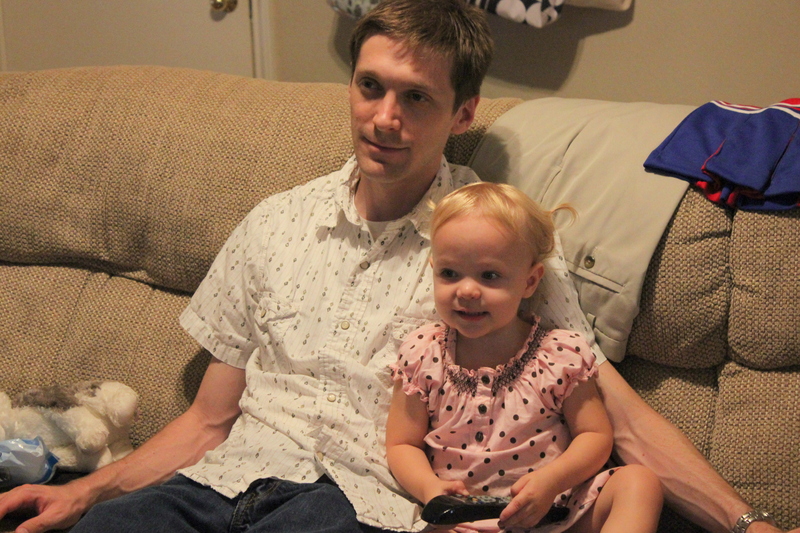 I like to narrate the movie with things I recognize like “cow,” “truck,” “sad,” “eating,” and “bucket share.” Tonight, I was watching with my daddy and telling some of the babies to share. There is no dialogue in this movie, so it doesn’t matter that I can’t follow a long conversation yet. I just get to watch babies do stuff. Even though some of them are growing up in very different environments than me, I can find the things we have in common. Sometimes my mommy only sees the differences; I notice what’s the same. So far, this is my favorite movie, and I would recommend it to my fellow toddlers, though anyone would probably like it. Especially because they apparently picked me to be in it! Check out the trailer on their website and learn more about each of the babies. Maybe next time Mommy will let me get on and tell you about Chick-fil-A – I’m really confused about why we eat chicken at a place that has pictures of cows everywhere. I know it’s summer, not typical soup season, but I didn’t want to wait until fall to share this recipe. And we didn’t want to wait until fall to eat it again. 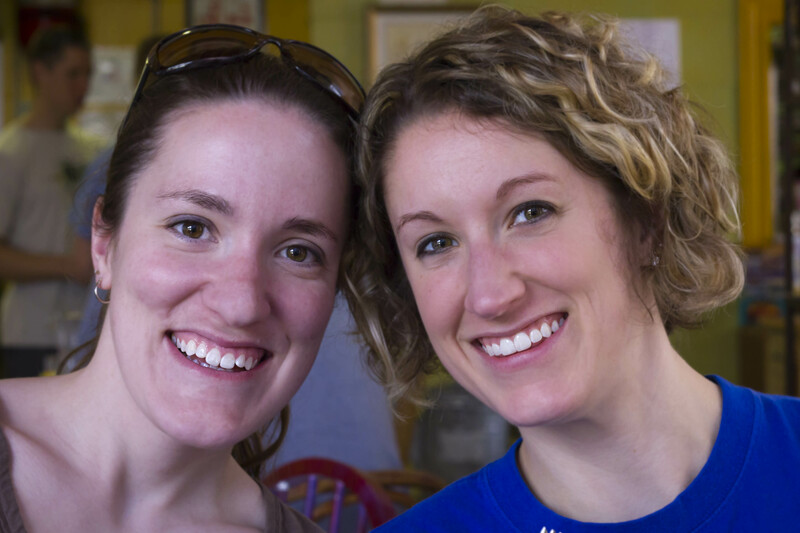 After Hannah was born, we were so blessed by friends and lifegroup families bringing us meals. 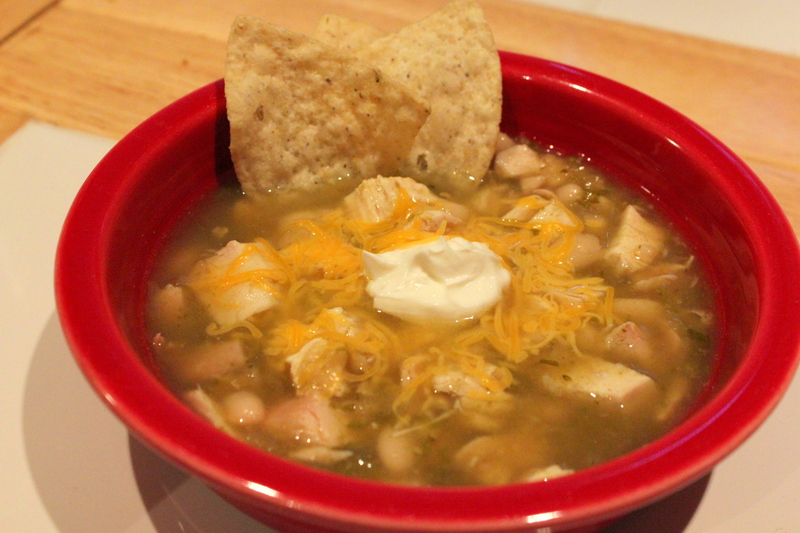 One night was this Chicken Verde Soup, and we were hooked. I asked for the recipe (which is luckily really easy) and have been making it regularly ever since. Add all ingredients to pot. Simmer for 20-ish minutes. Seriously easy. This soup has a kick for sure. I guess you could add less verde salsa to tone it down; I like to mellow it a bit by adding sour cream, shredded cheese, and crushed tortilla chips. This serves 6-8, and my approximate cost for the soup was $10. Adding toppings is an extra $5, and you’ll probably even have a lot left over – could be used for an easy nacho night. Toddler modification: I kept aside some beans and chicken (plain) for Hannah. We usually eat this for dinner two nights, then I freeze the rest in individual-serving containers. When I need an easy lunch, I just pull one out of the freezer. Sometimes I hide it from Brett so he won’t take it for his lunch; that’s probably not very nice of me. I think this is a good year-round soup because it is easy, tasty, and filling. It’s not thick and heavy like a lot of “winter soups” and stews. And when I eat it, I think of when Hannah was a baby and how thankful we are for sweet friends with good recipes. This week our church is having VBS. They are great and have childcare for the little ones whose moms are volunteering. I figured Hannah would be in her normal room where they basically just play and sometimes go for a ride on the mega-stroller. But this week she was bumped up to the 2’s class, and it is a big switch. They have a special snack, go to large group music time, do crafts, and play outside. I was initially concerned that Hannah wouldn’t be able to handle all these activities. She’s too little, right? Maybe she doesn’t belong with these “big kids.” I told her teacher that I had no qualms about putting her back into the younger class if things didn’t work out. I decided to peek at her in the large group time to see how she was doing. What a surprise! My baby was staying with her class, dancing to the music, doing the song motions, watching the videos, pointing at the people on stage – totally engaged and behaved. My heart hurt a little; my baby is growing up. She’s exceeding my expectations and adjusting to big new experiences that I didn’t think she was ready for. Turns out, maybe I was the one not ready for them. I often cruise online resources for free family activities in Austin. This is how I came across a summer concert series in nearby Sunset Valley. Sunset Valley is legally its own little town with its own city hall and police force, but it’s in the middle of Austin. They are hosting outdoor concerts every few weeks during the summer, so we decided to check it out last night. The main draw was the featured group, a jazz sextet led by Butch Miles who I had never heard of but he has a Wikipedia article about him, so I guess that makes him cool. The major drawback – the time – the concert didn’t start until 7:30, and Hannah’s usual bedtime is 7. But we were in the mood for some live music and thought Hannah should have the experience. The venue was great – behind their city hall, the musicians sat under a large porch and spectators sat in chairs or blankets on some very excellent grass. Along the back of this area are six large wooden porch swings; these were very popular and filled up fast. We opted for a blanket, though Hannah did try out some chairs. She didn’t stay sitting anywhere for long. We took turns following her around as she meandered through the area. 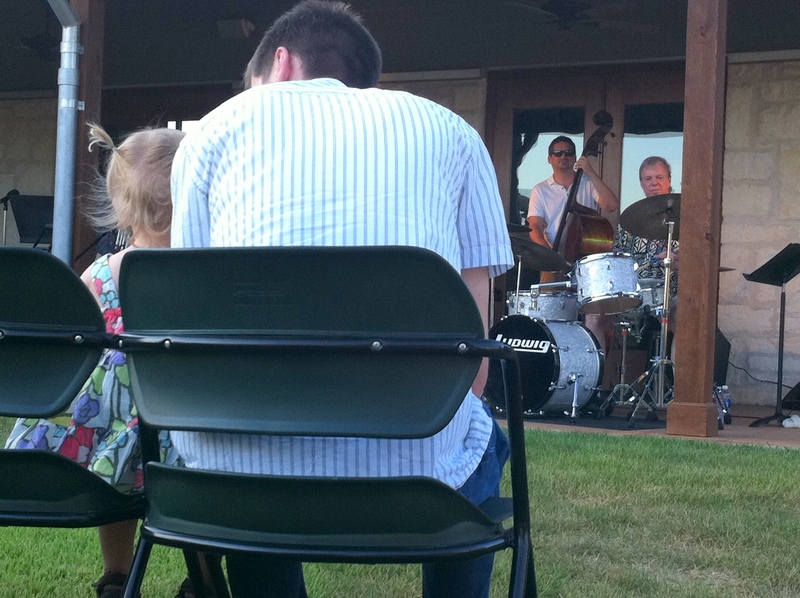 Luckily, at these events the audience is very casual and friendly, and they don’t mind toddlers wandering around mid-concert. 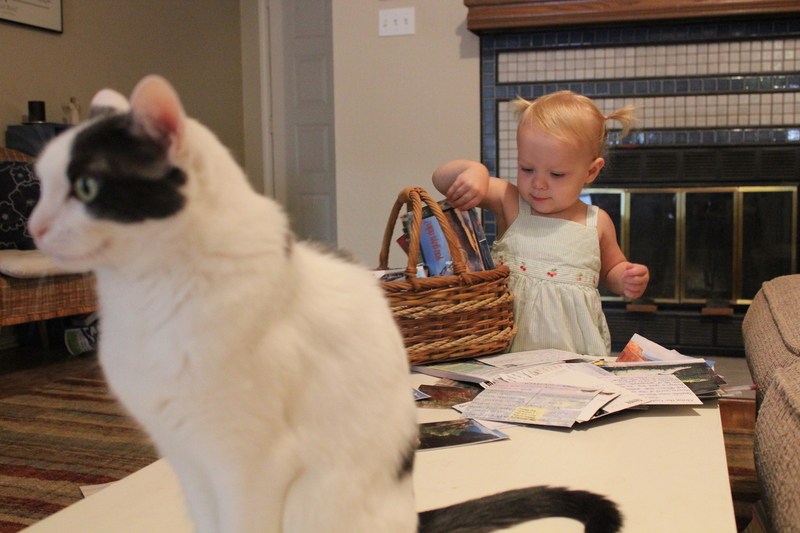 Hannah enjoyed checking out the other toddlers there and attempting to take their snacks. 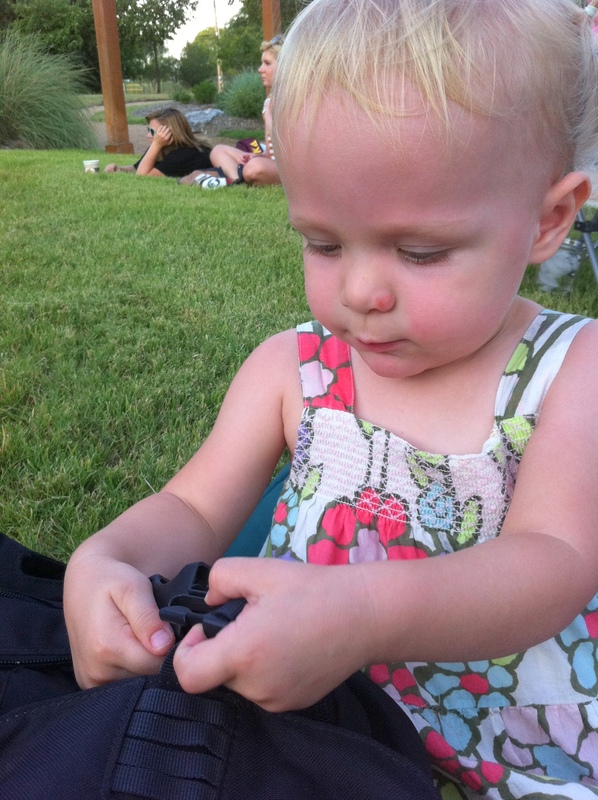 She has also recently figured out buckles, so she was briefly entertained by the buckle on the backpack. The music was great, the weather was surprisingly pleasant, and Hannah was happy walking around. At 8:15, we decided it was enough past her bedtime that we should head home. I think we’ll be adding more Sunset Valley concerts to our family calendar.